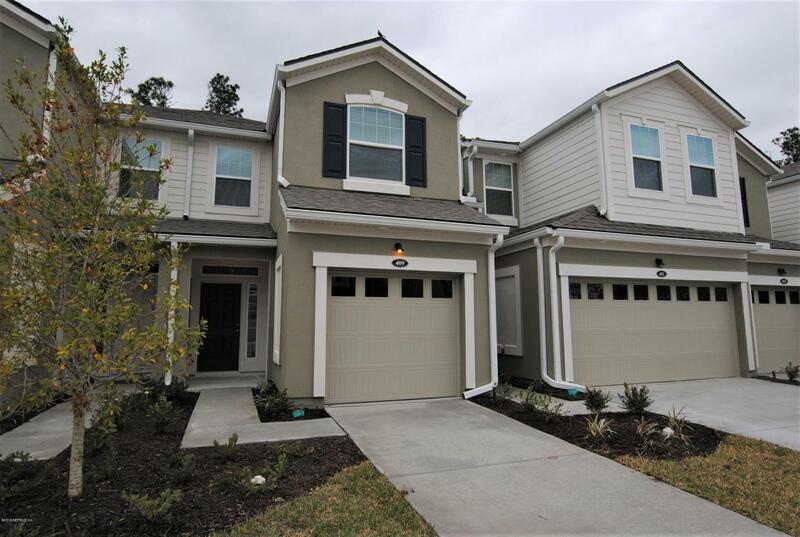 Be the first to enjoy this new construction town home with one car garage! 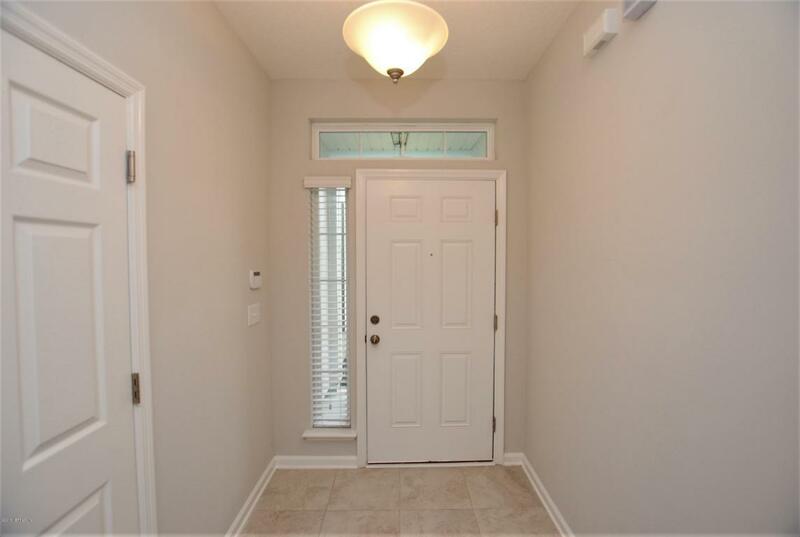 Finished in February 2018, this unit has a great open floor plan. 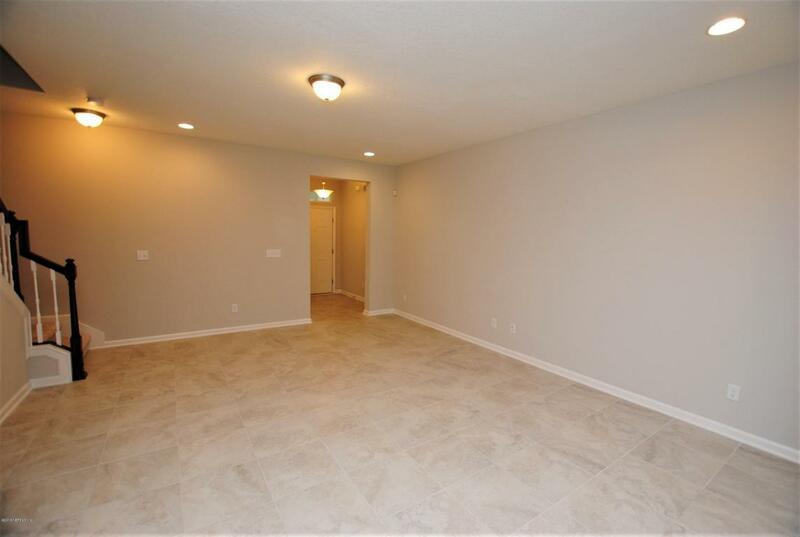 Modern tile flows throughout the main living areas, kitchen and half bath downstairs. Kitchen offers stainless steel appliances, food prep island adjacent to your spacious eat in area with huge sliding glass doors, letting in tons of natural light. 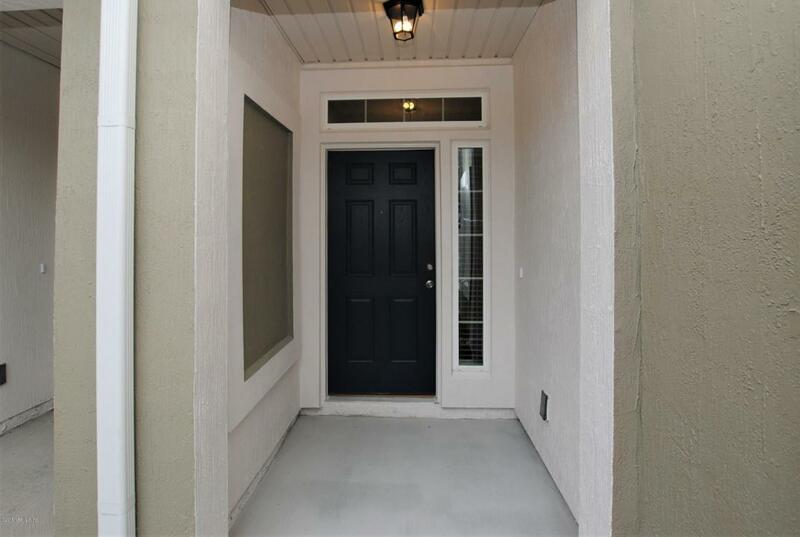 Wall to wall carpet in all 3 bedrooms, laundry room and full bath located upstairs. Master bedroom features tray ceiling, large walk in closet and en suite with dual vanity and custom stand up shower. You won't want to miss this opportunity for an affordable, brand new town-home in St Johns County! Enjoy the top of the line amenity center of Durbin Crossing! No pets allowed.